The course is designed to allow technical IT professionals to learn about the essentials and understand the OpenStack IaaS software suite and start working with OpenStack in production. The course is suitable for Linux/VM/Server/Network Administrators and Engineers, Data center Architects and DevOps Engineers. Prior experience in either virtualization, Linux CLI skills and networking experience are mandatory to attend this course. On day one, students attending the course will get an overview of the OpenStack comunity and software. The course focuses on IaaS, we explain the core architecture and the component relationships. The course also provides a brief introduction of other official programs to outline the capabilities an OpenStack powered environment can provide. Day two is dedicated to OpenStack networking, Orchestration and Automation and Storage concepts while day three is dedicated to deployment models, tools and strategies, production grade deployment requirements and troubleshooting. The students will have the ability to test the concepts learned each day in the hands on labs for which about 50% of time is dedicated every day. Everything About OpenStack in Two Hours? FREE! Want to quickly learn EVERYTHING about OpenStack? We know the pace of business is faster every day, that's why we would like to present this opportunity to learn about OpenStack essentials in just 2 hours. Join our introduction to the OpenStack ecosystem where you will have the chance to speak with OpenStack experts from various fields. To sing up just visit our website in the link below and sign up to the webinar. Do you have a need to customize your learning expreience? We provide trainings customised to your requirements at your location and at your convenience! Find out how we can help your learn about OpenStack and openstack related technologies and everything related to cloud. Marko and his team were able to create a stellar custom OpenStack training for our small team. The training was accurate, informative and thorough. Moreover, interesting hands-on labs made advanced concepts easier to understand. Highly recommended! The course was complete and includes everything whats necessary in order to build an understanding of openstack foundations. Labs were easy to use and fun as well, the trainer was both professional and helpful. Definitively worth it! 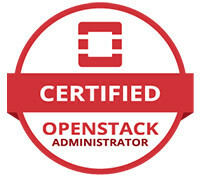 It was a very well explained course that met the objective of becoming familiar with OpenStack Administration. I attended Marcos OS introduction course and found it informative and helpful. Marco is very knowledgeable and highly competent instructor. I would definitely recommend this course to others. I attended Markos openstack course in Stockholm . It was a great opportunity to learn from somebody very passionate about openstack and up to date with everything that happens related to openstack. I strongly recommend him, great course material, which I still go back to from time to time, and inspiring person ! I have attended his course, and can say that it was well structured, and theory versus exercises balanced very well.